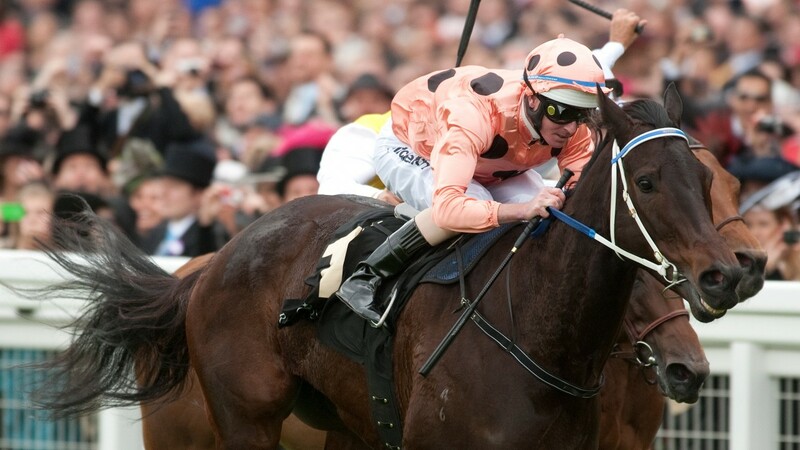 Oscietra, the first foal and runner out of wondermare Black Caviar, finished third on her debut at Flemington on Sunday. The filly, trained by David Hayes, Ben Hayes and Tom Dabernig, broke sharply under her jockey Luke Nolen. Leading as the field hit two furlongs from home, it was Limestone who found a burst of speed to win the contest with Black Caviar fading to finish third. Nolen, speaking to racing.com, said: "I tried to stack them up early and then flow through my gears from midway and see if they could catch me - they could." David Hayes added: "I've seen that speed and I thought if she sustained it for 1,000 metres we might have something a bit special. "I just feel she got a little bit lost in the heat of the battle. It wasn't a poor run, it was just the expectation on the girl is so great." It meant that she could not eclipse Black Caviar, who made a successful debut over the same course and distance in 2009. That victory sparked an outstanding career for the daughter of Bel Esprit which spanned an unbeaten record of 25 races, including 15 victories at the highest level. Retired from racing her first mating as a broodmare was a date with Oscietra's sire Exceed And Excel. The 16-year-old son of Danehill was a five-time Group 1 winner and since retiring to stud has supplied the top-class performers Excelebration, Flamberge, Helmet and Outstrip. The Kildangan Stud resident will stand this year's breeding season at a career-high fee of €50,000. Interestingly the Darren Weir-trained Limestone, the winner of the race, is by Exceed And Excel's son Helmet who made a successful start with his first northern hemisphere two-year-olds in 2016 headed by Group 1 hero Thunder Snow. Black Caviar, a half-sister to four-time Group 1 hero All Too Hard, has also produced a yearling colt by Sebring and a filly foal by Snitzel.